Education can be described as the process through which skills, beliefs, knowledge, values, and habits are acquired. It can be referred to as the process through which learning is facilitated. Today, we have the latest top 10 best universities in Nigeria ranking for you. Discussion directed research, storytelling, training, and teaching are the methods of acquiring education. Education does not have a formal set of whatever because the learners can neither be tutored by the guidance of educators or they tutor themselves. Pedagogy is explained as the methodology of teaching. Formal and informal educational settings are the two main settings through which education can take place, but education can be considered if there is any formative experience that has an impact on the manner one feels, thinks or acts. Nursery school, post Nursery school, post-primary school, colleges, tertiary institutions and vocational skills are all the six stages in which education is formally divided. Third level or post-secondary school education is defined as the trade schools, universities as well as colleges, that is according to the World Bank. It is the post-secondary educational level that is follow-suiting the full completion of post-primary school education with evidence of a certificate to show for it. Tertiary education specializes mainly on the acquisition of endeavors in a particular field which includes higher vocational education and academics according to UNESCO report. Receipts of Diplomas, academic degrees and certificates culminate generally the tertiary education. Post-secondary school education includes these two stages which are the undergraduate stage that takes up to four to six years depending on the field of study and then the postgraduate stage. In this write-up, we will be pointing our watch light to the post-secondary education system and precisely the top best Universities in Nigeria. This is the oldest Nigeria federal university. 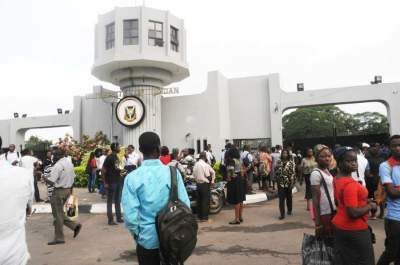 It is formerly known as the university college Ibadan. It is situated in the western region of Nigeria, just five miles away from the main town of Ibadan., Oyo State. It was founded in the year 1948. Prof. Abel Idowu Olayinka is the vice-chancellor of the institution while its chancellor is Saad Abubakar, Sultan of Sokoto. Academic Staff Union of Universities, Association of African Universities, National Universities Commission and the Association of Commonwealth Universities are the main affiliations of the University of Ibadan. Faculties of Technology, Environmental Design, and management, Agricultural Renewable Natural Resources, Dentistry and Economics, Arts, Veterinary Medicine, Public Health, Science, Pharmacy, Law science, and Education are the twelve faculties of the University of Ibadan together with faculty if Medicine. It has six Institutes which are Institute of Child Health, Advanced Medical Research and Training, LES Institute of PAU, Institute of African Studies, Institute for Peace and Strategic Studies and Institute of Education. University of Nigeria, Nsukka is a publicly owned institution was established in 1955. It is located in Nsukka town, Enugu State, Nigeria, African. It is formerly known as University of Biafra around 6 July 1967 – 15-01-1970. “ To Restore the Dignity of man” is its motto. On 7th October 1960, this tertiary institution was formally opened. 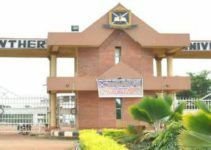 Enugu campus, Ituku-Ozalla campus and Nsukka campus are the three campuses of the University of Nigeria, Nsukka. Upon the American Educational system, UNN stood out as the premier autonomous and premier full pledged indigenous university in Nigeria. There is a total number of fifteen faculties and academic departments of 102 in number. It is regarded as the premier land-grant university. The second best University in Nigeria was founded by Nnamdi Azikiwe. The total number of 211 postgraduate programs and 82 undergraduate programs are offered by the university. It is among the first established institutions in Nigeria. Its 50th anniversary was celebrated on October 2010. The University of Lagos generally known as UNILAG is a publicly owned institution that was established in 1962. It is a public research institution. It is situated in the urban city of Lagos state in the southwestern region of the country. Its motto is “Indeed and in truth” and nicknamed Akokites. Prof. Oluwatoyin Temitayo Ogundipe is the vice-chancellor of this university. Association of Commonwealth Universities, National Universities Commission, Association of African Universities and Academic Staff Union of Universities are the main four affiliations of the University of Lagos. It has both academic and an Administrative staff. 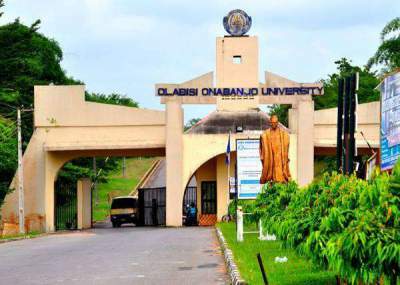 Fourth among the best Universities in Nigeria, OAU Obafemi Awolowo University, Ile-Ife was formerly known as the University of Ife was founded in 1961 as a public institution owned and coordinated by the federal government. It started up its academic year in October 1962. The establishment of this institution was headed by Samuel Ladoke Akintola. It is considered to be the first university that was located in the western region of the country. In order to honor late Obafemi Awolowo who was the first premier leader of Nigeria from the western part, University of Ife was renamed aa Obafemi Awolowo University, Ile-Ife on May 12th, 1987. Eyitope Ogunbodebe is the vice-chancellor of this institution. It is situated In Osun State inside an ancient city of Ile-Ife. This is a privately owned Christian institution that was established on October 21st, 2002 and situated in Ota, Ogun State. 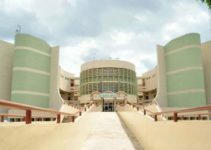 The reports on rankings from the scholarly citations from a reputable journal, various organizations and then the JAMB statistics, Covenant University is considered to be one of the best tertiary institutions in Nigeria. Association of African Universities, Living Faith Church Worldwide, National Universities Commission and the Association of Commonwealth universities are the affiliations of the Covenant University. Its motto is “Raising a New Generation of Leaders”. Purple is its color and it was nicknamed CU. While Dr. David Oyedepo is the chancellor of the Covenant University, Prof. AAA Atayero is the vice-chancellor of the institution. Samaru Campus: This campus is regarded as the main campus of this university, and it houses these faculties: Education, Physical Sciences, Environmental Design, Social Sciences, Agricultural Sciences, Arts and Languages, Medical Sciences, Life Sciences, and Research facilities and then it houses also an Administrative office. The Kango Campus: The Kango Campus is the subsidiary campus of this institution that houses the faculties of Administration that has departments of Accounting, Public Administration, and Business Administration and it houses also the faculties of Law. The university runs both the undergraduate and postgraduate programs. It is a publicly owned university that was founded in 1983 and located in Minna, Niger State, Nigeria. It runs both undergraduate and postgraduate programs. It has ten faculties and Gidan Kwano is its main campus. It is a well-known tertiary institution for its Biotechnology Excellence and Engineering in Genetics. Unilorin the eight among the top 10 best Universities in Nigeria, is a public university established in 1975 and it is situated in the capital city of Kwara State, Ilorin, Nigeria. It has a total of fifteen faculties. Its motto is “Probitas Doctrinal”. This is a federal owned first generational federal tertiary institutions that were founded in 1970. Sanusi Lamido Sanusi is the chancellor of the institution and Prof. Faraday Oromadense as its vice-chancellor. It has two main campuses which are Ugbowo campus and Ekenwan campus. College of Education Akoka, Lagos State is the only affiliation of this institution. It has a total of eleven faculties as well as College of Medical Sciences. This university was established on 1st January 1988 as the public university. It is situated inside the Federal Territory of Abuja, Nigeria. It has both the main and mini campuses both located in Abuja. It is a well-known institution that majored in doing Law. The institution’s vice-chancellor is Prof. Michael Umale Adikwu. The University of Ibadan, (U.I). University of Nigeria, Nsukka, (UNN). The University of Lagos, (UNILAG). The University of Ilorin, (U.I). The University of Benin, (UNIBEN). These rankings are from the latest rankings from the university ranking bodies like the Academic Ranking of World Universities, Times Higher Education World University ranking, The Rentes Top 100, US News and World Report Best Global University Ranking and then the world university Rankings. In Nigeria, it is the sole role of the government that has the power to coordinate the university educational system. Monotechnic, Universities both publicly and privately owned, Colleges of Education and the polytechnics are all forms of tertiary institutions in Nigeria. National Universities Commission (NUC) has registered a total of one hundred and twenty-nine universities which in it are forty federal owned universities, thirty-nine state government universities, and then fifty privately owned universities. There are nine new privately-owned universities that were licensed on the month of May 2015, these newly licensed private universities have increased the total number of universities in Nigeria from 129 to 138. Hallmark University, Chrisland University, Offa, Kwara State, Mountain Top University, Ogun State, Christopher University, Ogun State and others are all examples of newly established private universities. At maximum, two sittings of SSCE/GCE, Joint Admission, and Matriculation Board Entrance Examination minimum cut off marks, National Diploma, minimum of National Certificate of Education and other advanced and important certificates are the pre-requisite documents required for admission both at an entry-level or direct entry level into post-secondary school education. The year 1842 was the year an educational system in Nigeria can be traced back to the assistance of the Christian missionaries that managed the system from their philosophies perspectives respectively. These Christian missionaries then are the Wesleyan Methodist, Chord missionary Society and then the Catholic. In the year 1859, post-primary school education known as CMS Grammar School, Lagos state was established. The first formal pronouncement of education was made in Nigeria by the year 1882 when schools were grouped into two which are the public schools which are funded entirely by the government and the private schools that are owned and financed by the private individuals. The first post-primary school education which was the Yaba Higher College was formed in 1932 but started its full academic session in 1934. A total of one hundred and four students started up The University College Ibadan that was established in 1948. The total number of post-primary school education raised from one it was in the year 1948 to five in 1962. Statistically, twelve million pupils gained an admission into post nursery school education, 1.2 million students into post-primary school education and a total of 240,000 at the tertiary institutional level in the year 1980. Generally, it can be seen from these write up that in order for any persons to be very confident and able to stand on the ground in life, he needs to gain a knowledge from the educational process. Also, seeing the best top universities in Nigeria, any prospective students both as an undergraduate or postgraduates’ students are encouraged to put a more hands-on desk in order to be admitted into one of these institutions for h/his quality education. Sit back read and enjoy every bit of the write-up. Education can be described as the process through which skills, beliefs, knowledge, values, and habits are acquired. It can be referred to as the process through which learning is facilitated. Today, we have the latest top 10 Universities in Nigeria ranking for you. Discussion directed research, storytelling, training, and teaching are the methods of acquiring education.